People of faith in communities around the globe are joining their voices to call on political leaders to address climate change issues. 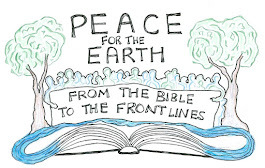 Join Presbyterians for Earth Care as we join an interfaith effort to call on our leaders to craft a moral global framework for the UN Climate negotiations in Paris in 2015. Sign the Faith Climate Petition to let President Obama and Congress know that we need a strong climate treaty so that all nations will commit to combatting climate change. We also invite you as a faith community or a person of faith to commit to taking a step – either large or small – to create a more sustainable world now and in the future by addressing causes of climate change. Climate change has been linked to burning of fossil fuels so the most effective way to control it is by reducing our use of coal, oil, and gas. Your step might be as large as installing a photovoltaic system on your home or as small as keeping the tires on your car inflated to increase gas mileage. Either way, when we all join together we can make change happen. Make your own pledge to action. a. 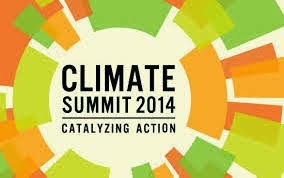 Go to Faith Climate Petition and type in the signers’ information individually. b. Mail the signed petition sheets to: National Religious Partnership for the Environment, 110 Maryland Avenue, NE, Suite 203, Washington, DC 20002. God has called us to be good stewards of the Earth and to care for all of God’s creation, including the “least of these.” Since the UN Climate Summit is taking place in September in New York – two days after the People’s Climate March – the timing is urgent to let our elected officials know that we are counting on them to insist on a strong treaty that requires all nations including our own, to take steps to control climate change. Click here to sign the Faith Climate Petition. Creator God, Open us to possiblilities! Put "yes" in our hearts as we discern what action is the "right size" for us. Let this September gathering be the largest voice ever raised on behalf of your incredible planet. Break open the hearts of our leaders that they might join our global family in changing how we use fossil fuels. Amen. Thousands of people will be calling for a strong climate change treaty by taking part in the People’s Climate March in New York City on Sunday, September 21. The People’s Climate March takes place two days before the United Nation’s Climate Summit at UN Headquarters in New York City where world leaders will work toward an international climate treaty. Presbyterians for Earth Care hopes you, as a person of faith, will want to get involved – by participating in the March in NYC, or by offering prayers or taking action in your faith community – wherever you are in the world. The biggest role is outreach – send information about the march to your networks. With so many people coming to the March, faith-based institutions are being asked to sign up to providing housing to out-of-town guests. (To learn more about offering housing, click here.) If you're within an hour of Midtown Manhattan by mass transit, please consider having your faith community offer housing. It will make an important difference. If you plan to go to the March, check out the resources that GreenFaith is providing. You can also sign up to receive e-mail updates from GreenFaith about the March. To follow what Presbyterians are doing at the March on Twitter use #presbyPCM. 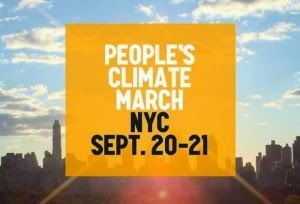 Please join us to make this March a turning point in the struggle against climate change. Let us know if you plan to be there! Heavenly Creator, give us the wisdom to care for this wonderful world the way you intended and the courage to speak out about injustices. Care for and protect all those who will be participating in the Climate March in New York City as they travel and as they act out their faith. We praise you, Lord, and ask for these things in your name. Amen. Come follow this network of people who promote earth care in their congregations. Join the conversation, access resources and meet fellow advocates for faithful environmental ministry and advocacy. Share what's going on in your church, start conversations, seek advice, compare notes, share ideas, post & links, and help grow the green faith movement!